Management Profile - Augmented Reality, Virtual Reality & Mixed Reality services in Chennai, India. Vijay Karunakaran is a true global citizen having lived, worked, and traveled around the world through out his life. 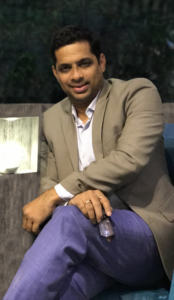 In the past 20 years of his professional experience, he formed and led teams across multiple countries including US, India, Israel, Singapore, Malaysia, China and Costa Rica. These global experiences have greatly influenced him professionally and culturally. Before founding InGage, Vijay has held senior executive positions at various Fortune 500 companies like Intel and AMD in the US. During his 12+ years at Intel as Director, he led and nurtured varied business & engineering functions that included Smartphones & Tablet business development, Atom mobile processor design & validation. Based on his 20+ years of global experience, Vijay has phenomenal expertise across industry verticals such as Mobile, Internet and Software, Semiconductor, Telecom, and Consumer Electronics. He holds an M.S. in Electrical Engineering from the Tennessee Tech and an M.B.A in Entrepreneurship and Marketing from Duke University. On a lighter side, he also Co-founded two restaurants in India while still in college; managed it for 3 years and engineered a successful exit by selling the restaurants before pursuing higher education in the US. He is an active sports person having captained his college football team, and regularly plays tennis with friends as a stress breaker. Vijay currently lives in Chennai with his wife, 2 kids and mother. A global leader who has held multiple senior leadership positions in the top 50 fortune companies in the US with 20 years of experience in the embedded software, telecom and digital space. She holds a M.S degree in Environmental & Information Systems from University of Ohio, and Associate Degree in Strategic Project Management from Stanford. 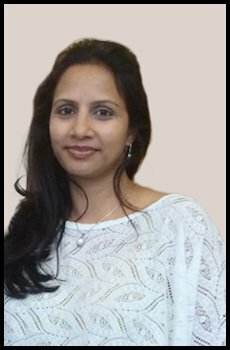 Vanitha’s key focus is Strategic planning, launch and operation of new businesses, products, and services. Additionally she also spearheads Buzztm a lightweight low cost model mobile app platform, an Ingage initiative that enables to grow the digital footprint for SME’s in India.